Motor Man and I were on the Outer Banks this weekend. Although that area certainly didn’t come close to having the devastation that the northeast did from Hurricane Sandy, it’s obvious that she came through town. This is the “beach road”. 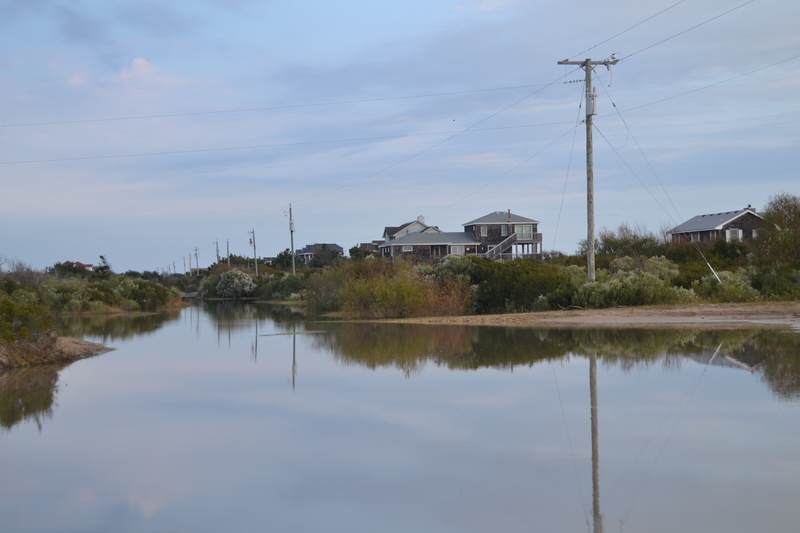 The ocean is just beyond those cottages on the right. 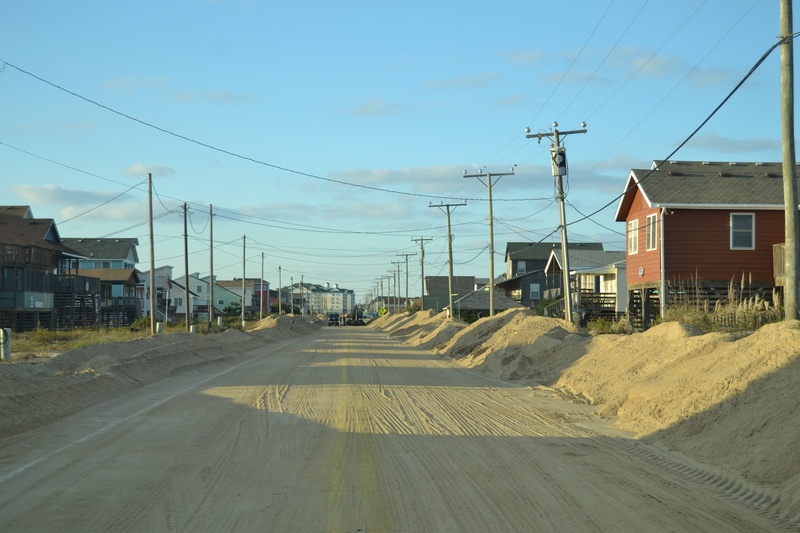 It’s normally a regular paved street, not covered in sand. You can see on either side where the sand was cleared from the street after the storm. Sunday morning, we rode up on the beach past Corolla, where we normally go to see the horses. Although we saw hoof prints, it was the first time we’ve been there that we didn’t see any horses at all. Probably because most of the little side “streets” that we normally are able to drive on, looked like this. We spent a lot of time backing up, turning around and heading in a different direction. 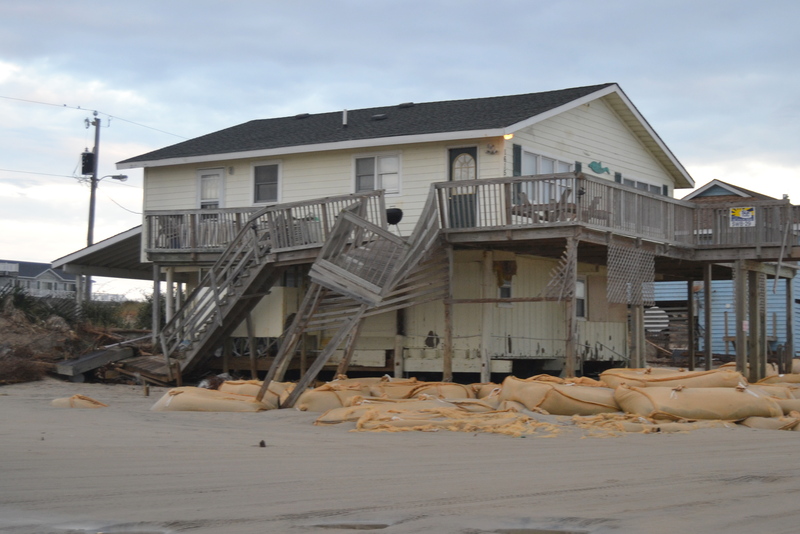 Obviously, the owners of this cottage went to great lengths to protect it, but those huge sand bags weren’t enough to save it from the tide. 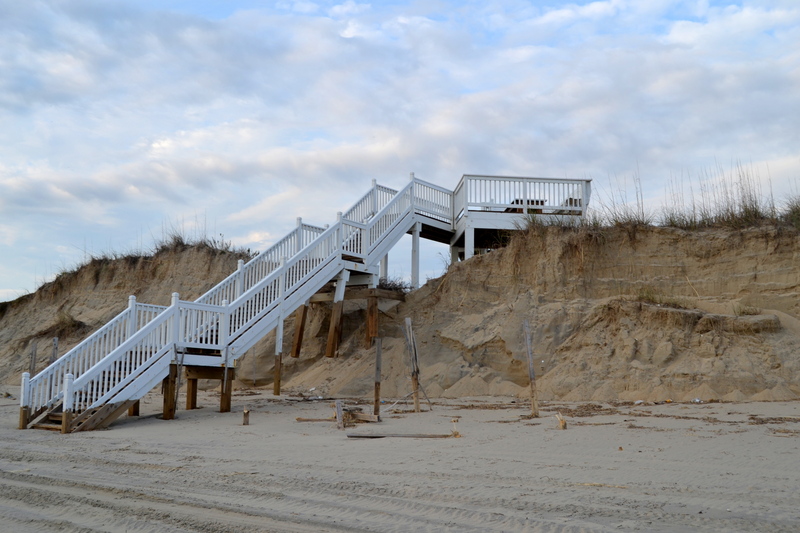 We were sad to see that Sandy caused so much erosion to the dunes. 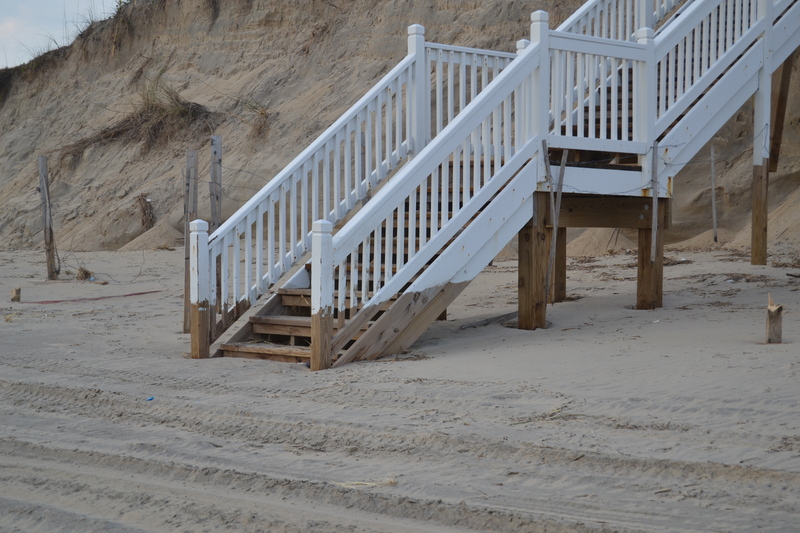 The unpainted portion of the steps shows just how much sand was lost during the storm. We DID find some humor in our trip though. 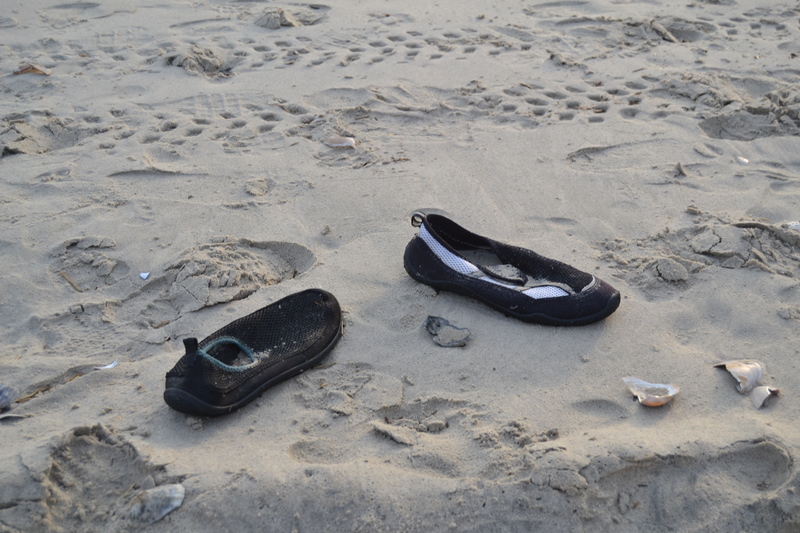 Remember my amazing shoe story? Both of us were reminded of my shoes when we saw this. 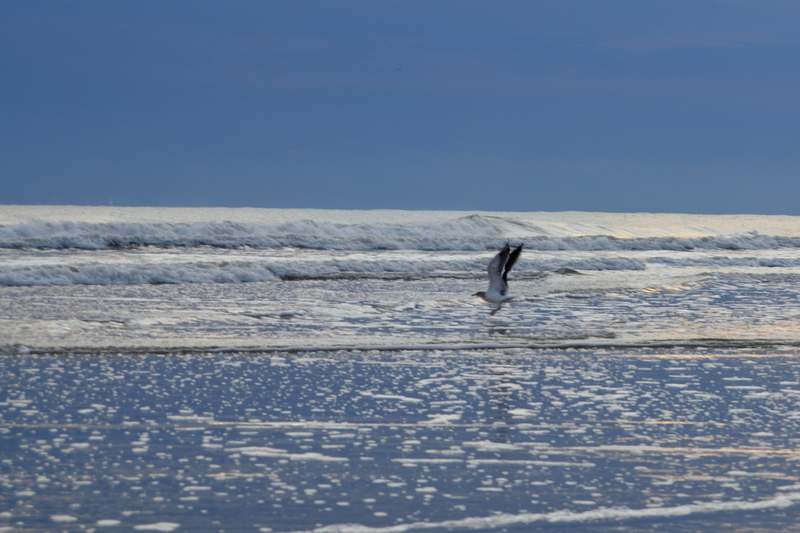 Although we missed seeing the horses, it was a beautiful morning on the beach. Saturday, I’ll share more sunrise early morning pictures from our trip.